A recent picture shows that the sisters, Kim and Kourtney Kardashian, are roving across Los Angeles on a white truck. Since the two got spotted by photographers, the rumor is spreading to find a reason for them to avail a truck drive! That’s quite astonishing as you may not find a second record for celebs to go on truck to move around. A rumor is apparently on front of thoughts that say the two are actually seeking a flat for their next reality show. This however can be a reason. What mockers are mocking is about the truck itself. Where did they got the truck? That’s a brand white truck! 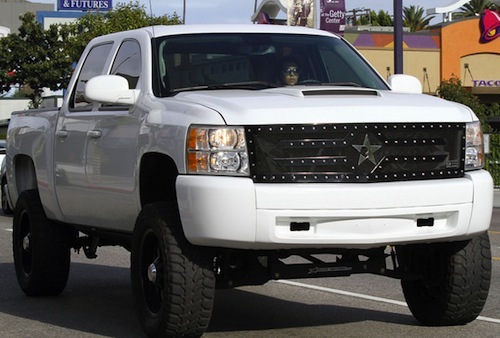 A last minute update on this celebrity car news buzz reveals the truck to be owned by Kourtney’s boy friend Scott Disick. And that’s all!